More Cool Pics from Me ! Gotcha! Whad'ya think yer gonna find? 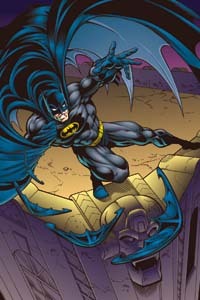 Batman watches over the crime-infested streets of Gotham City like a grim protective demon. 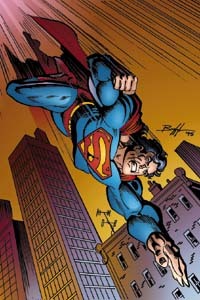 When evil stalks he blends the latest technology with his own superb physical skills to defeat it. Flying at top speed, he can respond to a crisis anywhere in the world in minutes - sometimes seconds. Getting there first counts for a lot when lives are on the line. 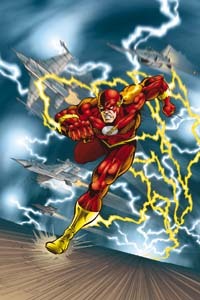 Connected to the speed force - the elemental source of all velocity and motion - Flash is more than able to leave even the fastest of jets in the dust.